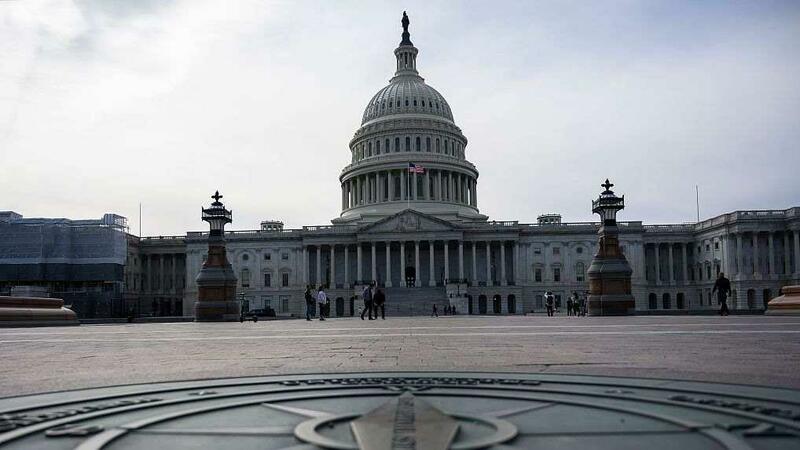 WASHINGTON, March 26 (CGTN) -- The U.S. House of Representatives failed on Tuesday to override President Donald Trump's first veto, leaving in place the national emergency he declared last month to build a U.S.-Mexico border wall that Congress has not funded. Democrats who control the House did not attract enough Republican support to reach the two-thirds majority vote needed for an override. With the 248-181 vote, Trump can continue scouring federal accounts for money he wants to be redirected to wall construction projects. The U.S. House of Representatives failed on Tuesday to override President Donald Trump's first veto, leaving in place the national emergency he declared last month to build a U.S.-Mexico border wall that Congress has not funded. The national emergency declaration, which Trump made last month in a bid to get funding for the construction of a border wall along the U.S.-Mexico border, would allow the president to shift billions of dollars from military construction projects to fulfilling his signature campaign promise. Congress sent a resolution to the White House this month terminating the emergency declaration, which Trump vetoed almost immediately. Meanwhile, the battle over the president's emergency declaration is now focused on the courts, with various legal challenges already underway that could slow Trump's building plans for some time. A coalition of 16 states sued in federal court in February to stop Trump's border wall emergency; another four states joined the lawsuit this month. "Thank you to the House Republicans for sticking together and the BIG WIN today on the Border," Trump wrote on Twitter after the House vote. "Today's vote simply reaffirms Congressional Democrats are the party of Open Borders, Drugs and Crime!"